Why did the turtle cross the road? Find out! Turtle crossings usually occur from May through September each year. The most important period to watch is in June when turtles cross roads to get to nesting areas. 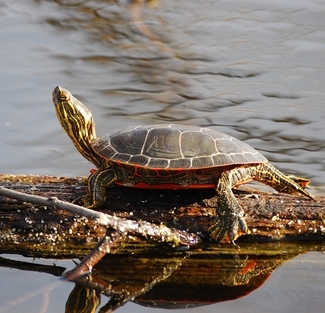 Volunteer to monitor roads and bridges for turtles crossing or for dead turtles on the road near the Cloquet River and tributaries by Rollins, MN and the St. Louis River area around Hwy 53, both in St. Louis County. The exact location can be determined based on your interest. If it is safe to do so, you can also assist turtles across the road. Informal turtle surveys are also needed to determine what types of turtles are using the Kettle River in Carlton and Pine Counties. Canoe or boat the river or walk along the shore on a warm sunny day from mid-April to mid-June. You can choose a stretch of river that is convenient for you or the DNR can provide the location of priority areas for surveys. Hike and plant thousands of butterfly milkweed seedlings in the prairie and savanna at Rice Area Sportsmen’s Club Wildlife Management Area , 73rd St and 250th Ave, Royalton, MN on Thursday, May 17 from 11 AM – 5 PM. Snacks and lunch provided. Open to all ages, but children must be supervised. 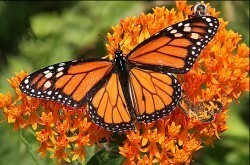 Help re-introduce this important host-plant to the site for Monarch butterflies to use to reproduce and pollinate. They and other pollinators find the beautiful orange blossoms delicious! 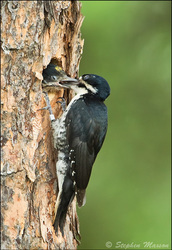 Woodpeckers hammer holes in trees to reach insects that live beneath bark and within wood. Left alone, many of those insects could damage trees. Some­times people blame woodpeckers for hurting trees, but this insect-eating can actually help keep trees healthy. 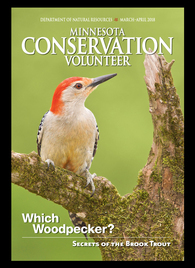 Help the DNR develop best management practices for conserving woodpeckers on lands by conducting surveys anywhere in the state where there are large blocks of forested public lands. Support Minnesota Conservation Volunteer by donating today! Support the outreach and education campaign “PlayCleanGo: Stop Invasive Species In Your Tracks” by staffing the booth at the Outdoor Adventure Expo at Midwest Mountaineering, 309 Cedar Ave. South, Minneapolis, April 27 - 29, 2017. Help educate recreationists about invasive species and the simple steps they can take to avoid accidently spreading terrestrial invasive species. The term "invasive" is reserved for the most aggressive nonnative species capable of harming the environment, economy or human health where they establish. Receive a free tee-shirt, ball cap and tote bag for helping! Volunteers across the state are needed to track Minnesota’s loon population. Now celebrating its 25th year, the Minnesota Loon Monitoring Program will assign you to a pre-selected lake to count the number of loons you see on one morning between Friday, June 29th and Monday, July 9th, 2018. Detailed instructions, training materials, maps, and a data form will be provided. Help increase the area of oak savanna in Frontenac State Park by volunteering to work with the park’s Friends group in planting established trees (1 – 2 inches in diameter) and prairie forbs (wildflowers and grasses) around the park in June. The DNR is not just about conservation officers out in the field….we also write up contracts for many different kinds of work. We have contracts for inserting monitoring devices in snakes so we can find out where they hibernate; we test bear hair samples; we need consultants to build park buildings and water access sites; we contract for presenters and entertainers at state parks and so much more. All of these contracts are filed in a lektriever. A lektriever is an electronic file with rotating shelves controlled by the push of a button…think of a ferris wheel of files! Share your organizational skills by volunteering to organize these contracts in St Paul. Text MNDNR Volunteer to 468311 to subscribe to mobile updates. Please note, you will continue to receive this bulletin by email unless you click the Unsubscribe link below. Choose how you’d like to receive this news.